An announcement in the DOCOMOMO US newsletter about a planned issue on Women in Modernism enticed me as an appropriate opportunity to use the data I had collected for my book Early Women Architects of the San Francisco Bay Area – The Lives and Work of Fifty Professionals, 1890 -1951. The overarching goal of my research and writing is to correct architectural history which rarely mentions women in architecture. Since there were indeed many women who practiced modernism and positively contributed to the built environment, I want to acknowledge them and their work. 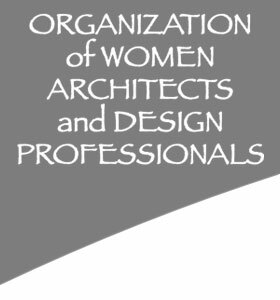 I will summarize the content here, hoping you will find it interesting to learn about your professional ancestry, about women architects of the past. The Emergence of Modernism in California traces the origins of modernism back to its precursors such as Joseph Worcester and the Hillside Club promoting the simple home in a natural setting. Julia Morgan was part of the group as can be seen in her early simple houses on Etna and Parker Streets in Berkeley. Of course, Northern California architects were influenced by the early 1920s examples of Southern California modernism, mostly created by European immigrants, as well as by the 1932 exhibition Modern Architecture: International Exhibition at the Museum of Modern Art in New York. In the 1930s, a few Bay Area architects trained in the Beaux-Arts style were breaking loose and transitioned into modernism. 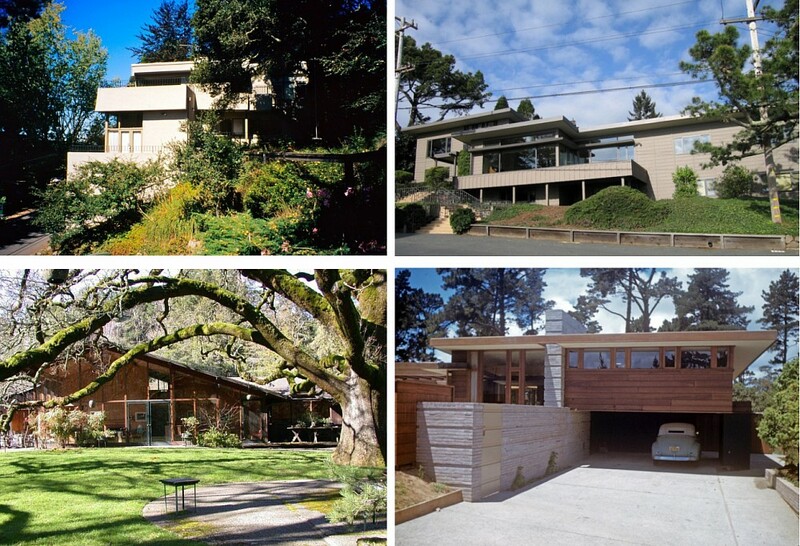 A prime example for a “Transitional Architect” is Gertrude Comfort Morrow who designed with her husband and partner, Irving Morrow, the first modern house in San Francisco for Olive Cowell (see top photo) at the same time they were working on the architectural design of Golden Gate Bridge. Although they designed other modern projects, they also reverted back to more traditional designs, probably on request of their clients. Modernism was not always accepted in the traditional San Francisco environment. The Bay Area, already an attraction for architects from all over the country since the recovery from the 1906 earthquake, lured several women in search of jobs in the highly reputed offices such as Wurster & Bernardi. Among them were Rebecca Wood (Esherick, Watkin) (see photo 3 below), Lois Wilson Worley (Langhorst) (photo 4 below) and Audrey Durland Ksanda (Emmons). Finding these jobs was not easy as, for example, Wurster would not hire women before 1945. Some of the women married prominent architects as the names show, but also often divorced, and established their individual careers. (1 upper left) Betty Witkin designed this house for her family in 1938. Surrounded by balconies, it steps up with the sloping lot from the road. 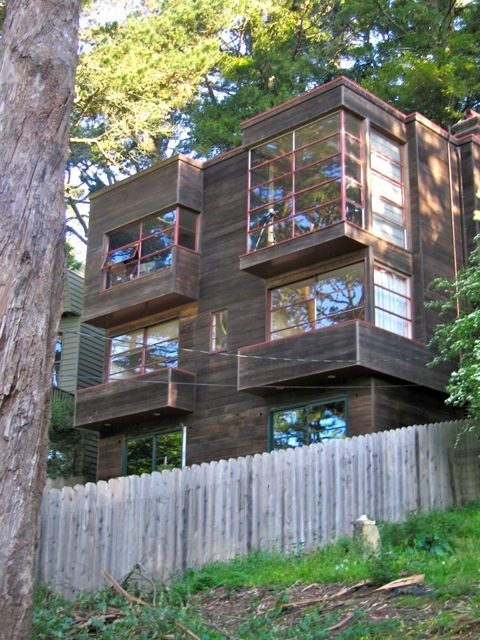 (2 upper right) Hurley house in Kensington by Jane and Rifat Parug, 1959, takes advantage of the wide view over San Francisco Bay and emphasizes horizontal lines. (3 lower left) The Esherick House in Kent Woodland, designed by Rebecca Wood Esherick (Watson) with Joe Esherick as consultant, 1950 (demolished). (4 lower right) The 1949 Kauffman house, a good example of many outstanding residences designed by Lois and Fred Langhorst. Photo 4: Langhorsts. All other photos: Inge Horton. The conclusions point at the difficulties these women experienced in pursuing their careers and having to care for their children as single parents. More information about these and other modernist women such as Helen Findlay Aycrigg, Esther Baum Born, Elizabeth Boyter, Louise Russell Clever, Helen Douglass French, Arabelle McKee Hufbauer, Vera Jansone de Fischer, Lois Goetz Kartwold, Evelyn Hall Gilcrest Kosmak, Roslyn Ittleson Lindheim, and Hilde Reiss can be found in my book. Other articles in the DOCOMOMO newsletter provided parallels and new insights. For example, the article “A New Outlook” Baldwin Kingrey of Chicago features a furniture store named for partners Kitty Baldwin Weese and Jody Kingrey Albergo. Although they were not architects, they promoted the Modernist aesthetic in Chicago and educated interior designers, architects, and consumers alike. This is similar to the efforts of the Bauhaus-trained architect Hilde Reiss who co-founded the House of Today in Palo Alto which popularized modern furniture from 1952 on. Hilde had previous experience in working for the Housing Authority of Vallejo, California, in educating shipyard workers and their spouses on how to best utilize their plain war housing, and as curator of the Everyday Art Gallery at the Walker Art Center in Minneapolis, MN. In both situations, she used newsletters to reach a large audience. For those of you who are interested in the big picture of women in modernism in the US, I recommend an excellent article "Women in Modernism" (2007, available online), by Gwendolyn Wright.